In December 2014 a BBC News website headline misleadingly told audiences that “EU court takes Hamas off terrorist organisations list“. In September 2016 another headline informed BBC audiences that “EU advised to drop Hamas and Tamil Tigers from terror list”. In July 2017 the BBC News website told its readers that “EU top court keeps Hamas on terror blacklist“. On March 6th 2019 another chapter in that saga came to a close. “A European Union court on Wednesday upheld a freeze on Hamas funds as it rejected the Palestinian group’s appeal against its EU listing as a terrorist organization. The General Court’s ruling amounted to the latest rejection of Hamas’s efforts to be struck from an EU blacklist created in 2001 based on a UN resolution following the 9/11 attacks in the United States. “In today’s judgment the General Court looks into each of the arguments made by Hamas and rejects them in their totality,” the Luxembourg-based court said in a statement. As of the time of writing, no reporting on that story has appeared on the BBC News website’s ‘Europe’ or ‘Middle East’ pages but the addition of a clarifying footnote to that misleading December 2014 report which is still available online is surely long overdue. 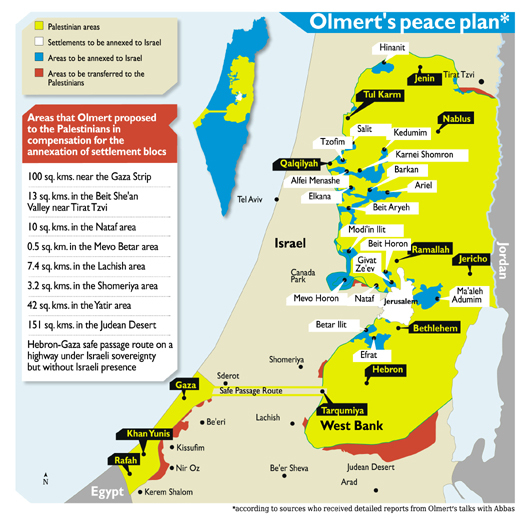 For the past five years the BBC has been reporting on a proposed housing project in the south Jerusalem district of Givat HaMatos. Two months later, in December 2014, the BBC’s Tim Franks revisited the same story. Audiences heard just one view on the topic from a representative of the political NGO ‘Ir Amim’ which has received funding from foreign sources – including from the EU. In late January 2017 Tim Franks returned to the same location and BBC audiences again heard one view of the story; this time from the inadequately introduced founder of that same political NGO. None of the BBC’s various reports on Givat Hamatos has informed audiences that part of the planned housing units have been ear-marked for Arab residents of the adjacent neighbourhood of Beit Safafa. To date, not one brick has been laid in the proposed project on which the BBC has already produced four reports and the JCPA recently published a backgrounder that explains why that is the case. “The plan to build a Jewish residential neighborhood in Givat Hamatos in southern Jerusalem was already approved by the Jerusalem District Planning and Building Committee in 2014. However, it has been frozen for four years. While the views of representatives of an EU funded political NGO have been amplified in half of the BBC’s four reports on the story and the EU itself quoted in one other, audiences have not heard any alternative views whatsoever. Obviously BBC reporting on the proposed housing project in Givat HaMatos throughout the past five years has not complied with those guidelines. Rather, it has exclusively promoted monochrome framing of the story that has denied audiences access to information and perspectives that contradict the BBC’s chosen narrative. Just over two and a half years ago the BBC News website published a report with the misleading title “EU court takes Hamas off terrorist organisations list”. That report was noteworthy for its incomplete portrayal of Hamas’ designation as a terror organisation in countries worldwide, for its promotion of Hamas spin, for its whitewashing of the violent Hamas coup in Gaza in 2007 and for its amplification of the notion that the terror group might be seen as a “legitimate resistance movement”. In September of last year the website published another article about the same story headlined “EU advised to drop Hamas and Tamil Tigers from terror list“. That article similarly amplified the Hamas narrative of ‘resistance’, provided incomplete information concerning the countries that proscribe Hamas as a terror organisation and downplayed Hamas’ violent take-over of the Gaza Strip while failing to provide readers with factual information concerning Hamas’ long history of terror attacks against Israeli civilians. On July 26th the news that the Court of Justice of the European Union had ruled that Hamas should stay on the EU’s list of terrorist organisations was reported on the BBC News website’s Europe and Middle East pages in an article titled “EU top court keeps Hamas on terror blacklist“. After an explanation of the court’s ruling and the background to the story, the article went on to repeat the themes seen in the previous reports. Israel of course also designates Hamas in its entirety. In addition, Australia designates Hamas’ Izz al Din Al Qassam Brigades as a terrorist organisation, as do New Zealand and the United Kingdom. However, it once again failed to provide readers with factual information concerning Hamas’ long history of terror attacks against Israeli civilians or its current activities such as digging cross-border attack tunnels and manufacturing missiles – despite their obvious relevance to the article’s subject matter. “European auditors say the EU should stop paying the salaries of thousands of Palestinian civil servants in the Gaza Strip who are not going to work. The auditors examined about 1bn euros (£840m; $1.3bn) of EU spending in Gaza between 2008 and 2012. The EU pays about one-fifth of the salaries of the PA’s 170,000 civil servants, both in the West Bank and Gaza, under a programme known as Pegase. Hans Gustaf Wessberg of the European Court of Auditors said overall EU funding had played an important role in supporting vulnerable families, and maintaining health and education services in Palestinian areas. But he pointed out that “the payment of civil servants who do not work does not meet one of [the EU’s] main objectives to provide public services to the Palestinian people”. Since the EU auditors’ report was published over three years ago there has been no follow-up reporting on that story from the BBC and audiences were not informed whether or not the recommendations were implemented. Last week – apparently in light of a recent EU announcement that, for the first time, its 2017 contributions would not include funding for PA civil servants in the Gaza Strip and an earlier UK announcement to the same effect – the Palestinian Authority decided to make some changes. In the West Bank, government spokesman Yousif al-Mahmoud said a reduction in foreign aid had forced the Palestinian Authority to cut Gaza salaries by 30 percent. “Without this step, the government cannot pay the salaries of its employees,” he said. On Saturday, a demonstration was held in Gaza City. “Tens of thousands of Palestinians protested in Gaza City on Saturday against recent salary cuts announced by the Palestinian Authority. Hamas condemned the PA salary reductions as “abusive and irresponsible,” while the Democratic Front for the Liberation of Palestine terror group said they were “illegal and unacceptable,” according to Ma’an. Although tax payers in the many countries which donate aid to the Palestinian Authority – including of course Britain – would no doubt welcome some objective, in-depth, fact-based reporting on the subject of the perennial PA budget deficit and the related issues of prioritisation of payments to civil servants in the Gaza Strip who have not worked for nearly a decade, payments to families of terrorists and salaries for imprisoned terrorists, those topics remain firmly off the BBC agenda. In October 2015 the BBC News website produced a backgrounder which underwent extensive editing during the ten days following its original publication and is currently available online under the headline “Is Palestinian-Israeli violence being driven by social media?“. As was noted here at the time, the backgrounder failed to provide BBC audiences with a comprehensive view of its purported subject matter. Despite quoting a report by the Quartet which “identified “the spreading of incitement to violence on social media” by Palestinians as a key issue” (an aspect of the report downplayed in previous BBC reporting), the second article nevertheless used the frequently seen qualifying ‘Israel says’ formula to describe the links between incitement on social media and acts of violence. “Israel says Palestinian incitement on social media has fuelled a wave of attacks since October, which have killed 35 Israelis and four people of other nationalities. To date – notwithstanding recognition of the issue by the Quartet and Facebook – the BBC has yet to provide its audiences with information which would broaden their understanding of the connection between official and unofficial Palestinian incitement and terrorism. In contrast, on December 6th 2016 BBC Technology produced an article titled “EU criticises tech firms for slow action on hate speech“. “Twitter, Facebook and YouTube are falling short of a commitment to tackle hate speech quickly, research suggests. Notably, the BBC did not find it necessary to amplify statements made by those posting online hate speech and incitement in Europe suggesting that the monitoring and removal of such posts amounts to “a spy tool”. Following the EU Colloquium on Fundamental Rights in October 2015 on ‘Tolerance and respect: preventing and combating Antisemitic and anti-Muslim hatred in Europe’, the Commission initiated a dialogue with IT companies, in cooperation with Member States and civil society, to see how best to tackle illegal online hate speech which spreads violence and hate. Neither did this report find it appropriate to portray racist posts on social media as “narrative” or to suggest to audiences that hate speech might be seen as “telling the truth”. While Israel and the EU are both trying to tackle the problem of online hate speech and incitement to violence in similar ways, we see that the BBC’s approach to the story differs according to geography. Back in December 2014 the BBC News website produced a report which was misleadingly headlined “EU court takes Hamas off terrorist organisations list”. The following month the Council of the European Union decided to appeal the court decision that was the subject of that article but the BBC News website did not cover that chapter of the story. An article appearing on the website’s Europe page (though not on its Middle East page) on September 22nd under the title “EU advised to drop Hamas and Tamil Tigers from terror list” opened with a summary of the story so far. “The EU may have to remove Palestinian Islamist group Hamas and the Sri Lankan separatist Tamil Tigers from its list of terrorist organisations, a top European Court adviser has said. As was the case in the December 2014 report, the article goes on to amplify the Hamas narrative of ‘resistance’ and to provide incomplete information concerning the countries which proscribe Hamas as a terror organisation. As the BBC’s own profile of Hamas states, Israel also designates Hamas. In addition, Australia designates Hamas’ Izz al Din Al Qassam Brigades as a terrorist organisation, as do New Zealand and the United Kingdom. Like the December 2014 report, this one too gives a whitewashed account of Hamas’ violent take-over of the Gaza Strip. “Hamas took over Gaza in 2007 and has since been involved in three conflicts with Israel”. Remarkably, in an article all about Hamas’ terror designation in the EU, the BBC did not find it necessary to provide readers with factual information concerning Hamas’ long history of terror attacks against Israeli civilians, including the thousands of missile attacks which brought about those tepidly portrayed “three conflicts”.